All the Fun Without the Run! Want to participate in all the fun of run day at the Famous Canadian Beer Run, without the actual run? We have volunteer opportunities available in every area of our operation – from registration to course marshalling, bag check to finish line management. See how a running event and beer festival operate from the inside – and enjoy a fun day with a group of like-minded individuals. 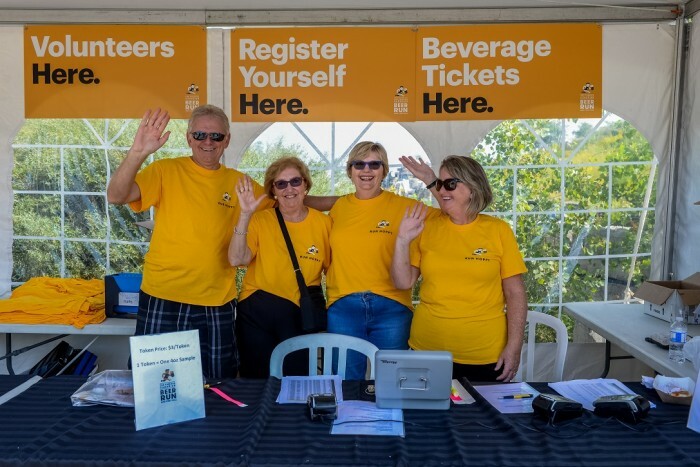 We’ll hook up each volunteer with free parking on-site, two beverage tokens (19+) good for a full sized beer or two sample pours from our vendors (to be consumed after your shift), your own beer stein, volunteer shirt and food voucher. You'll also be given clear and specific duties and a volunteer captain. Volunteer shifts are between 3 and 4 hours and you can request your preferred role and the time of day you’re available. Please read through each duty and select which ones work best for you. Keep in mind changing duties leading up to the event can be a challenge for our staff so please be sure to select those that fit your schedule. Minimum age to volunteer is 16. For most participants you will be the first face-to-face contact runners will have for the event. Your friendliness, helpfulness and patience will form that critical first impression. You will be asked to do two main tasks; hand out race kits and event specific t-shirts. Race kit pick-up will take place on Saturday, September 15th from 8 a.m. to 12 p.m. The Set Up and Tear Down Crew will be responsible for setting up and breaking down tables and chairs, flags, tents, and signage to various locations at the event. Crew members should be prepared for physical work. This position is also the first point of contact for participants and the public, making it imperative that you be both energetic and efficient! Your duties will consist of the following: Sign in participants who have registered online and registering walk-up participants from 8 a.m. - 12 p.m. on event day (September 15, 2018). From 11 a.m. - 6 p.m. we'll be selling beer tokens on-site. This is a fun activity that requires you to sell beer tokens to registered participants. Expect face-to-face contact throughout the day! Shifts are 3 hours long. There will be lots of action at the Bag Check as runners drop off and pick up their belongings throughout the day. Expect a fast paced environment during peak times. Shifts are 3 hours long. Times: 8 a.m. - 7 p.m. If you are energetic and want to be in the action - this is position is for you! You will need to be set up and in place 30 minutes before the start of the first wave and stay until the last runner is through - roughly a 3 hour duty from 10:00 a.m. - 1 p.m. We need people to keep cups filled and handing them out to thirsty runners en route while cheering them on! Endless high-fives welcome! 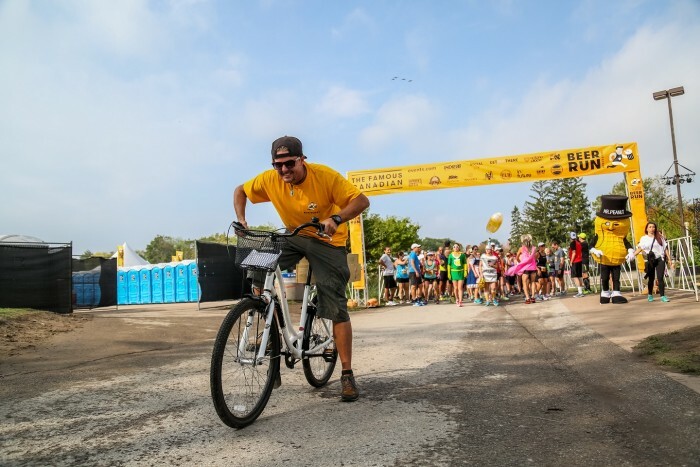 Your number one responsibility as a Course Marshal is to ensure the runners have a safe run and ensure that no vehicular traffic (other than official vehicles) enters the course. You will be placed at specific locations on the course that are key for the race. 10:30 a.m. - 2 p.m.
High five those crossing the finish line while giving out official finisher steins! This is a very busy area at times and requires standing for long periods of time without shelter. 10:30 a.m. - 1:30 p.m. Assisting runners in getting from parking area to main event registration/start line.